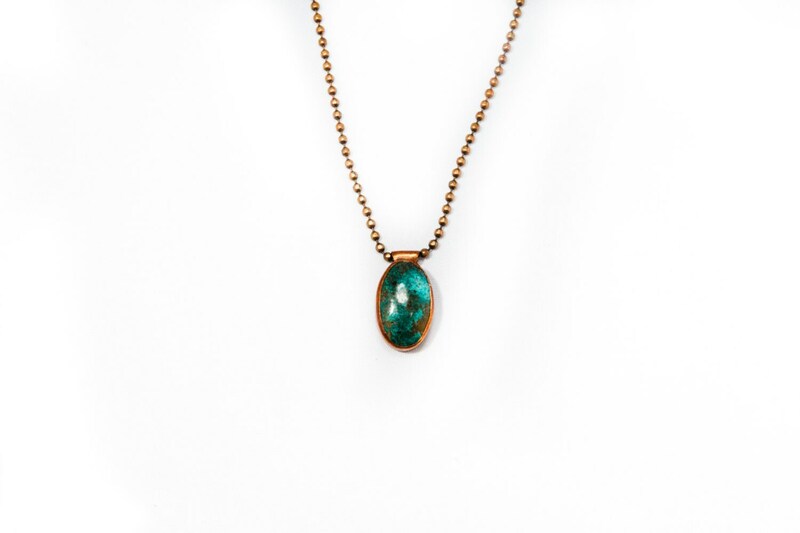 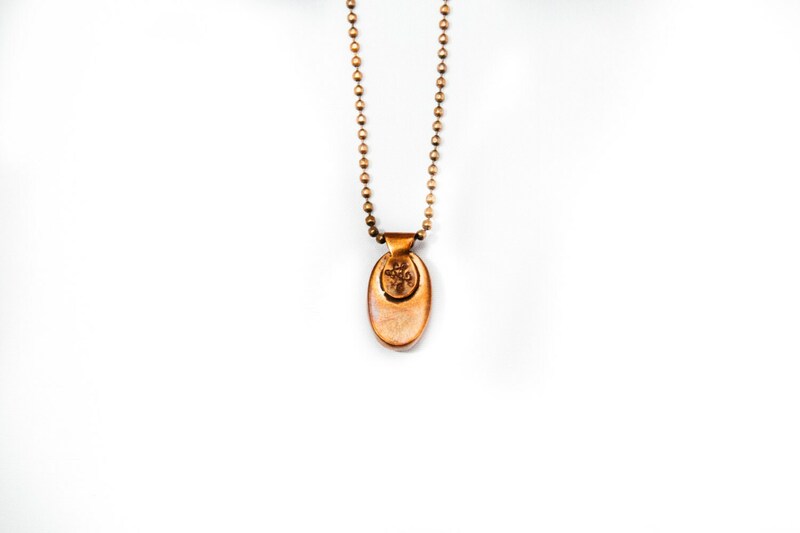 Peruvian turquoise (chrysocolla) set in antique copper with an antiqued copper ball chain. 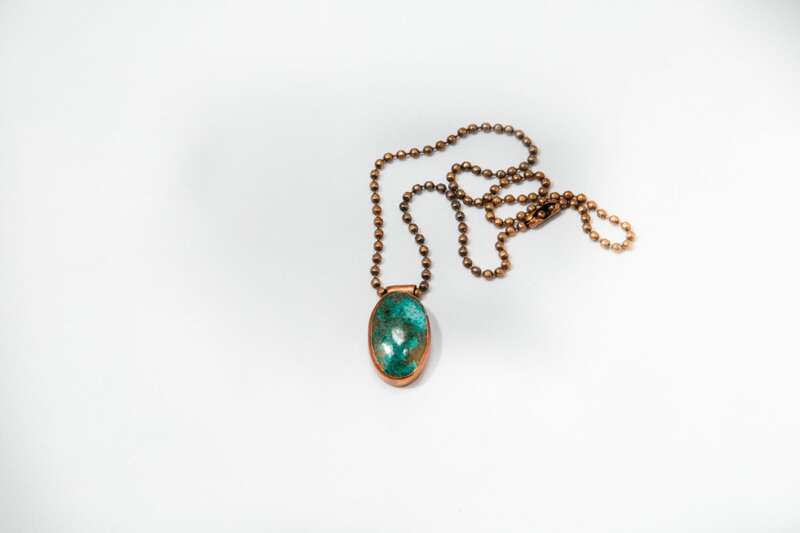 The stone blends subtle blue, green and brown hues. 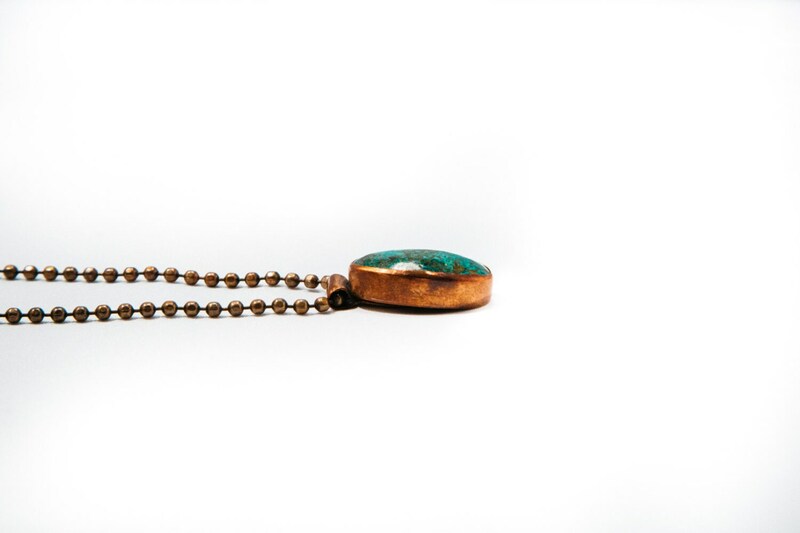 The stone size will vary slightly from piece to piece, as will the colour and tone of the gemstone.